A jury has agreed that Huawei committed industrial espionage in United States, ordering the Chinese giant to pay $4.8m in damages. Three years ago, T-Mobile USA sued Huawei, claiming that the latter stole trade secrets about a phone-testing robot Big Magenta used, called Tappy, which mimics a human user to improve testing of the carrier's smartphones. 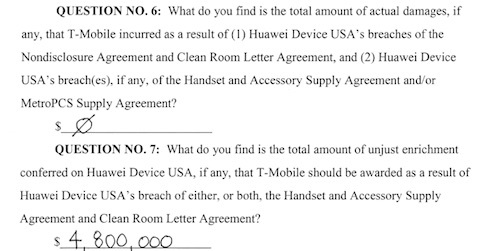 T-Mobile argued Huawei employees who had entered its testing lab as part of the two firms' agreement, had copied the design, and even stolen parts to create its own. The relationship deteriorated, with T-Mobile cancelling Huawei contracts, and Huawei launching IP litigation right back at T-Mobile. Huawei responded to the lawsuit by arguing that Tappy wasn't exactly a secret, and wasn't even made by T-Mobile, but by Epson. 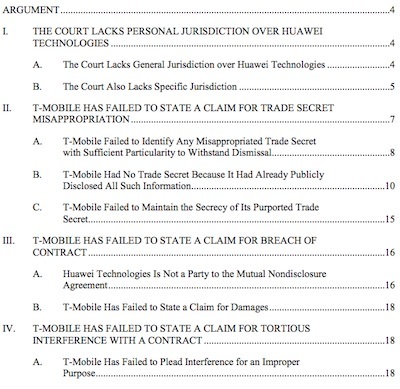 In its motion to dismiss, Huawei claimed: "T-Mobile’s statement of the alleged trade secret is an insufficient, generic statement that captures virtually every component of its robot," and it had failed to point out any trade secret "stolen" with sufficient specificity. Huawei argued that T-Mobile's own IPR on Tappy (eg, "Touch Screen Testing Platform patent application", US 2012/0146956) blew up its own trade secret defence: they weren't secrets any more. "These patent applications amount to prior, voluntary, comprehensive public disclosures by T-Mobile of each robot component that is even remotely identified as potentially constituting a trade secret, let alone one misappropriated by Huawei Technologies (or Huawei USA)." Meanwhile, T-mobile contended that Epson had provided only a component of the robot. T-Mobile had also invited the world to inspect Tappy's "secrets" with a grand reveal event in September 2012 and a publicity campaign, for which the YouTube video above was created, said Huawei. T-Mobile, meanwhile, presented the evidence of robotics expert Michael Davies, who conducted a court-ordered inspection of Huawei's robots at its Shenzhen facilities. That failed to produce a smoking gun, but Davies notes record that he was unable to inspect everything he wanted to. The case dragged on for three years, much of which was consumed with arguing the admissibility of evidence: huge chunks of evidence remain under seal, others are heavily redacted. Ultimately, the jury bought T-Mobile's trade secrets argument, but concluded that its claims were OTT, and didn't accept the theft was malicious or wilful. The awarded damages were far lower than the T-Mobile wanted. For its five years, Huawei sold telephone gear imported from Hong Kong, a few miles from Shenzhen. Then it launched its first own-brand product, the C&C08 digital telephone switch, a clone of the kit it distributed. As it rose, however, more and more technology was developed in-house although it admitted portions of Cisco's router software had been copied. 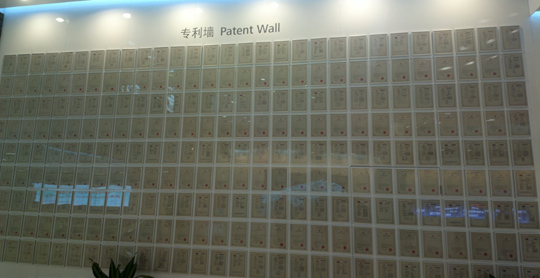 Today it employs over 80,000 engineers, leads the market in LTE equipment, is helping devise 5G, and boasts a "wall of patents".